Despite there have many reasons of the high incidence but the floating dust and bacteria also is a important reason to aggravate respiratory disease. 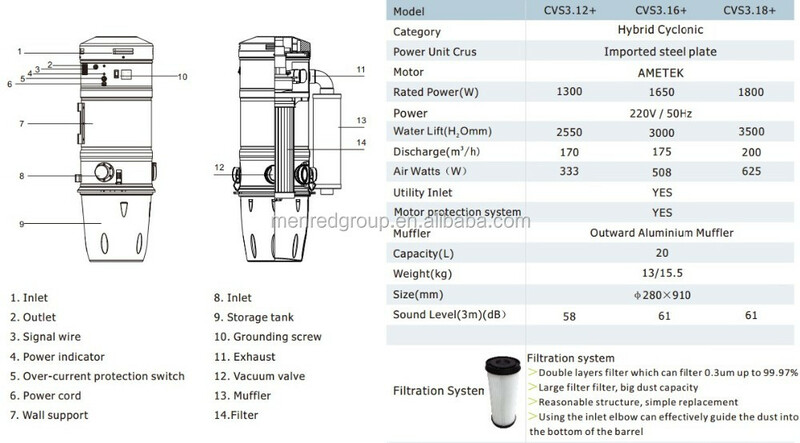 Central vacuum system consists of cleaner host, pipe network, vacuum port, vacuum components. 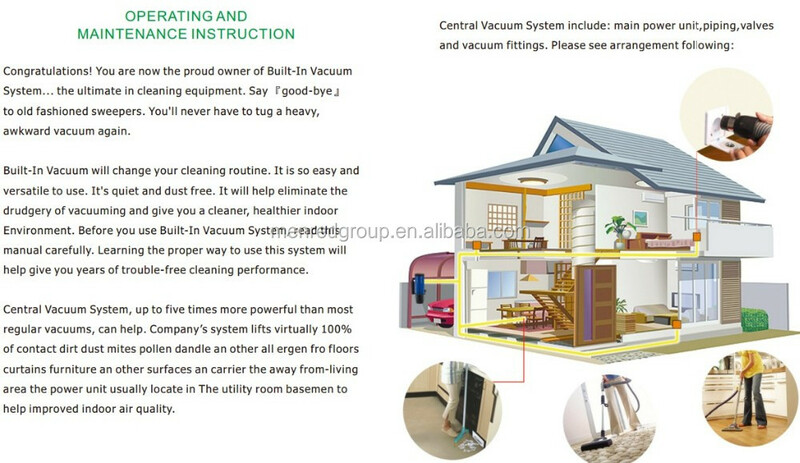 The host of Vacuum is placed on the room, balcony, garage, equipment rooms inside (or outside) of the building. 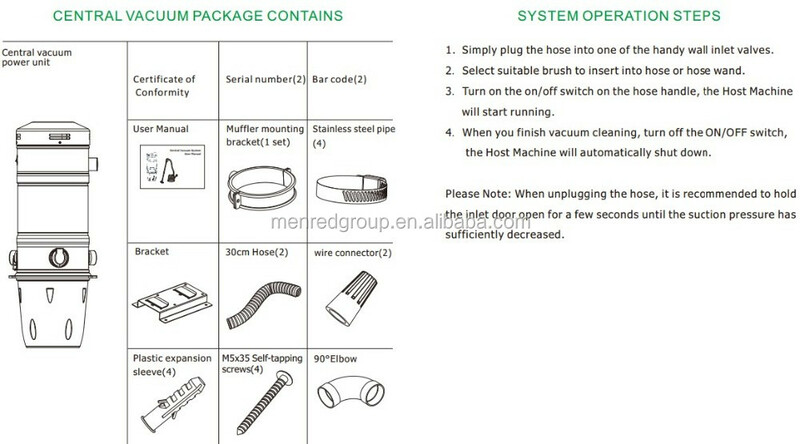 The host through the network management conenct with each room’s suction port,When do the cleaning work, put the cleaning suction vacuum components into the vacuum suction port, sucked the harmful gases and dust indoor into the large capacity trash bags by vacuum cleaning Pipes. In Europe and the United States, the central vacuum system has 50 years of production history, large-scale use has 30-40 years of history. Current usage in the villa is about 90%, utilization rate in the apartment is about 55%. The central suction dust systems are considered as an integral part of new housing ,and necessary procedure for build houses upgrade. 1. Quiet life: the host away from the living space, when using noise-free, quiet home leisurely. 2. Clean and efficient: removal of harmful micro-organisms, mites, pollen, pet dander and other dust materials for more than 0.3 microns, the efficient rate up to 99.7% . 4. Light use: to insert a vacuum hose valve can be remote control host, professional self-cleaning filtration system to reduce the use of cost. 5. Engineer-moving system: The vavcuum cleaner by the AMETEK LAMB of United States is about 5 times as the orrdinary cleaner, can meet the variety needs of all environmental conditions. when in use, just slight sound of air. the mites in the living room. of 1 micron and above dust. can not fight the mites in the living room. 1 micron and above dust. as to control the host’s switch. gathering dust particleseasy to leave out. So that the motor lasting life. 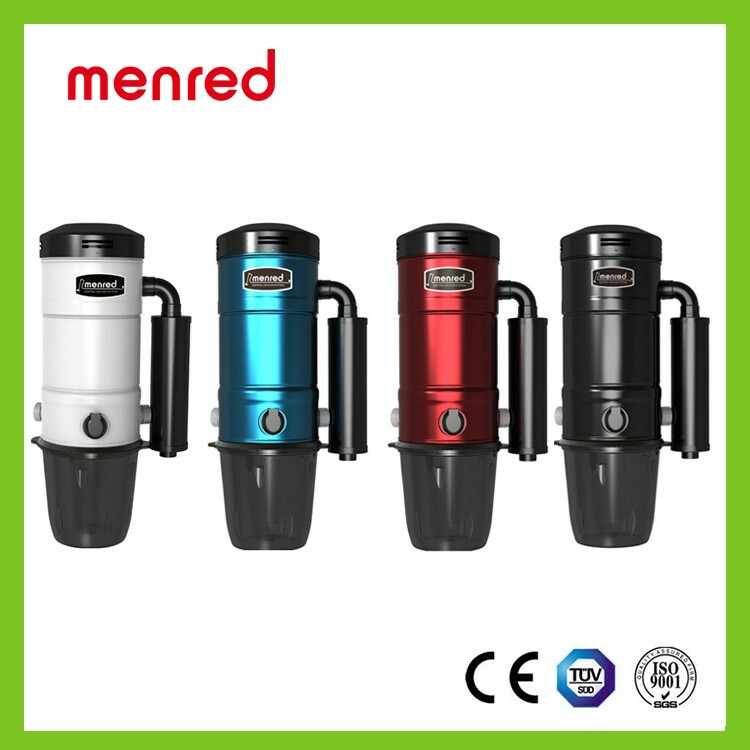 Menred CEfficient cleaning:the suction ability is many times as the normal vacuum. No second pollution:Drain the gas out of the room directly. Simple operation:The vacuum faucet around everywhere, convenient to vacuum. Easy- mounting:It is easy to mount when built or decorate the house. The vent of electric machine:Security Configuration, promoting electrical life. 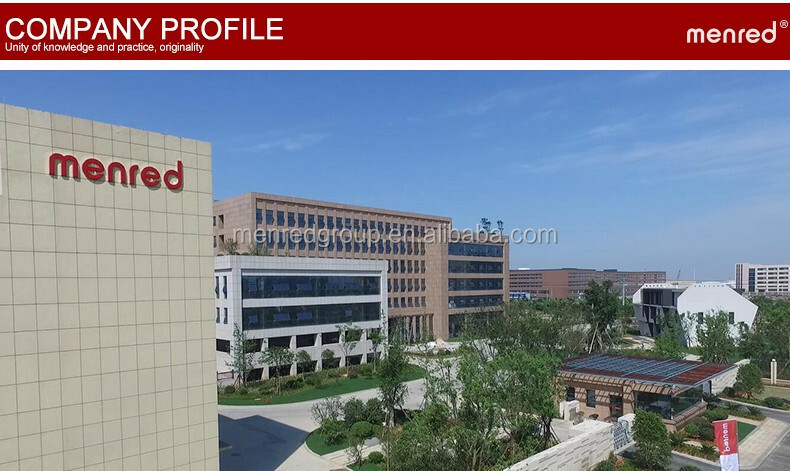 Menred Group Yueqing Import and Export Co.Ltd.is belong to MENRED GROUP.We were founded in 2005 and re-established in 2015, our HQ is located in the city of yueqing which is famous for the production of “Low voltage application” in Zhejiang province.We devote ourselves to R&D production, sale and service of energy-saving products. Our core business is radiant heating and cooling system, ventilation system, vacuum cleaner system central air-conditioning and intelligent home. The products we exported included thermostats, switches, manifolds, actuators, valves, ventilators, cleaners, water purifiers and so on. 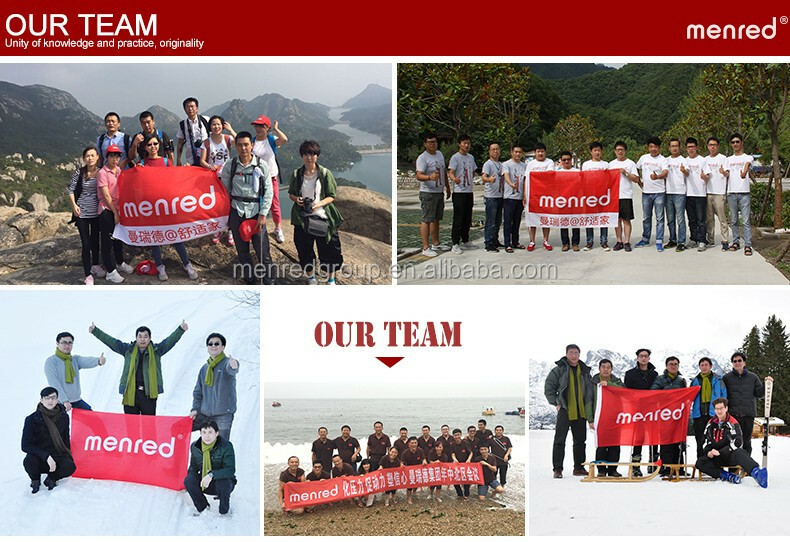 We are ambitious, also down-to-earth.Therefore menred has the firm faith,and devote ourselves to developing pragmatic, market-oriented and highly effective strategies at the same time, just because we understand that only win consumers in the future market, we will really get the confidence. We are able to customize products individually for each of our customers to meet their diverse requirements. 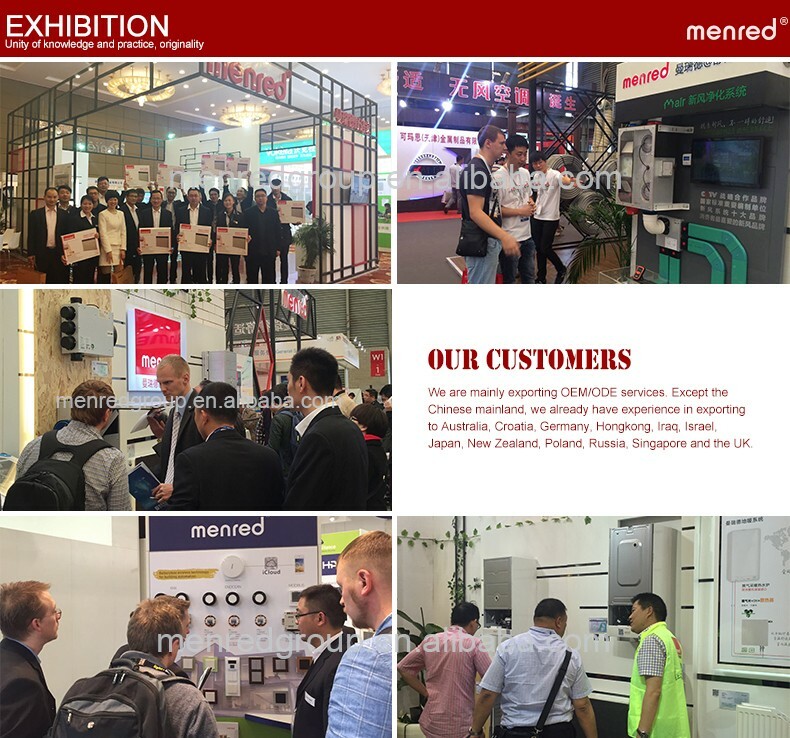 Besides that, menred is a popular brand in HVAC industrial in China, for the overseas market, we are professional and experienced for the OEM and ODM service, our products have exported to UK, Germany, Russia, Japan, Finland, Poland, Australia, Brazil etc. 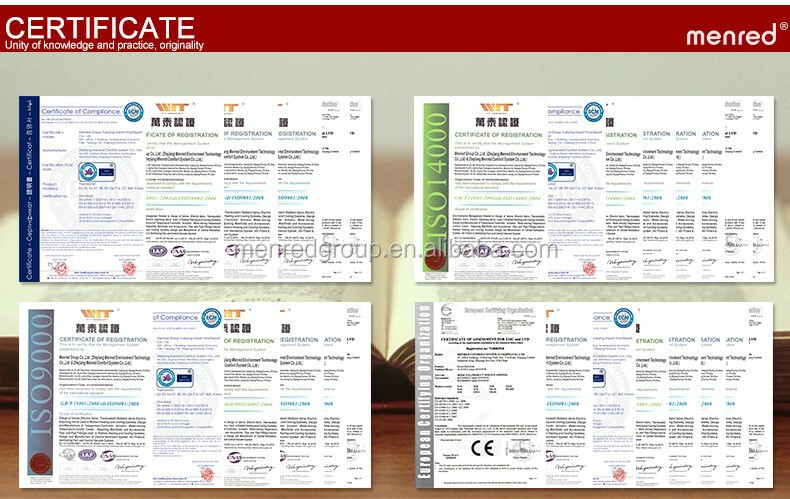 We have passed ISO 9001:2008 as well as ISO14001:2004, and all of our products have acquired the CE certificate. Holding more than 100 patents and 20 software copyrights to protect our intellectual property rights. 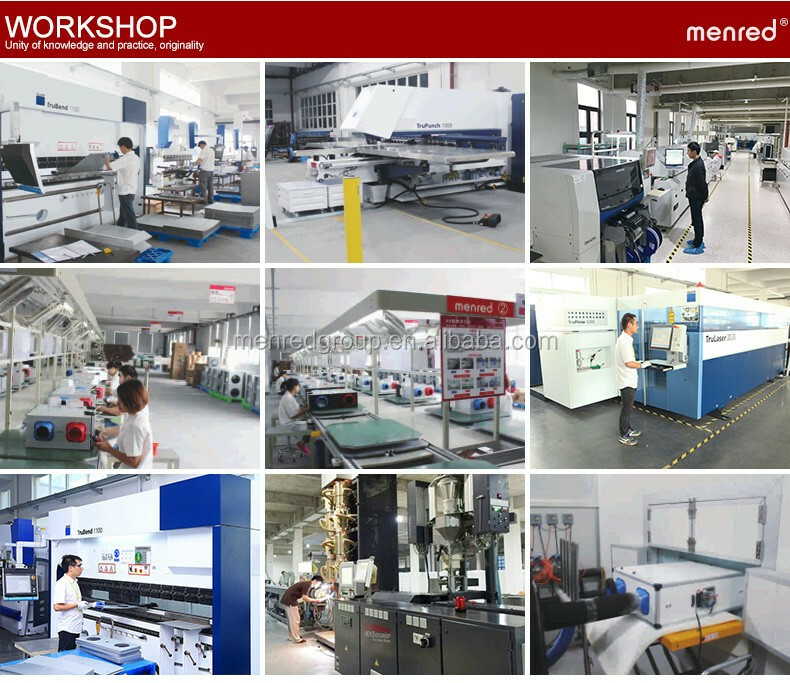 A: Yes, we are a international trading department belong to MENRED Group, Our Group has three factories,one is in Germany, another two in China. Q: I need your price list of all your products, do you have a price list ? Q: I can’t find the product on your catalogue, can you make this product for me? it.For your reference,making a ordinary mould will take about 35-45 days. A: Yes.We made a lot of customized products for our customer before. (mainly wire harness) And we made many moulds for our customers alread.About customized packing,we can put your Logo or other info on the packing.There is no problem.Just have to point out that ,it will cause some additional cost. the safety.We will be responsible to any product damage caused on deliver. Q: Do youu have a guarantee of your product quality? 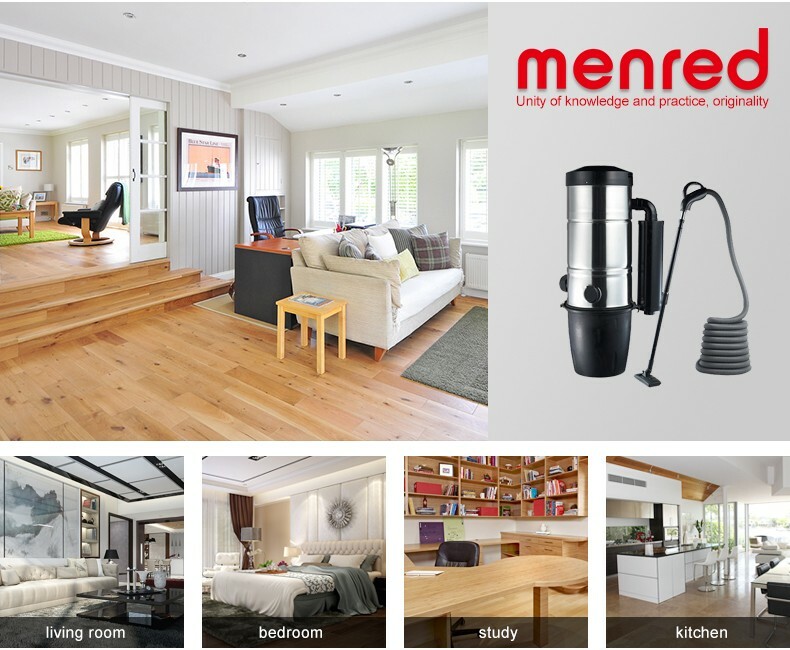 Q: Can I become an Agent / Dealer of MENRED products? Any requirements or question,welcome to “Send” us an e-mail Now!! !